A: So you’ll need to also dangle a pretty good hook for visitors to your site to get them to sign up on your Mail Chimp database. Again it’s a bit of a formula. Simple version is this: Have a ‘video, white paper, report, checklist or something of perceived good/high value’ for readers to want enough to give you their email address for. They sign up, they go to a landing page which they can download the ‘thing’ from, then they get a download link. A follow up email is then ideal so that they can be reminded of what great value you have to offer – another freebie is good to send a few days after that… then ensure they get a regular flow of newsletters etc to maintain their enthusiasm for your stuff. Q: I have in my mind that I’d load new content onto the Blog page of my website, send out a “newsletter” pointing people to that content and somehow link Linkedin to that content but I don’t know if this is the best idea and how all this can work without too much effort each time I want to add new material. In case you need to know, my website is on Wix. A: I’ve no experience with Wix, only WP, and with WP it’s all very easy to integrate. The FREE option of a WIX site might not be in your best interests, as my understanding is that it lacks some of the simplicity and overall capability of WP via all the WP plugins etc. Hope that all helps.. the key to this is ensuring you have a a good couple of freebies, good database management of autoresponders etc, and quality follow on efforts to engage. LI is really great for getting people to like your articl and click to your website for more of you and the incentive waved under their noses to sign up. I know that from the number of inquiries I get about this that there are a lot of people scratching their heads over how to do this. I’m not saying its always easy, and can take some serious time, effort, and a solid focus to get the results you want, but it can return fantastic results, and long term, you want to engage with your fans. I hope you’re finding this helpful too, and if you want to turn your freebies, or your stories that can become great ebooks or books that sell (and work hard as part of your marketing strategy) then let me know – happy to help. Eating an Elephant… one bite at a time! I love that old saying – how do you eat an elephant… one bite at a time! But sometimes it just feels endless doesn’t it? I mean, the very nature of this industry – writing for a living – is one that takes time to develop. It doesn’t matter how much you think you’ve done, there’s always something more to do. And so my daily and weekly author task list helps, but it sure is a long list! Facebook, Twitter, and Instagram – check, post, review, reply and advertising. Canva – keep developing new images for posting with blogs and social media. Amazon – check stats, sales, and moderate anything that needs it in my uploads. AMS – Amazon Advertising, to check, measure, and add campaigns. Blogs – writing, checking, reading. Keywords – adding new ones, checking what’s working and what’s not, and reviewing – constantly reviewing! Mailchimp – newsletters, lists, automation, and reviews of activities. And that’s before I even start to write! Plus there’s reading – the blogs and posts from other authors and those whom I follow to learn from . Research – sometimes this can be just one more endless task too but so very necessary! And finally – study time. I’m currently enrolled in three new courses to ensure that this year I maximise my abilities to build up my career as a full time (well paid) author. While these things all need time and attention, they all seem to need the same amount of input from me. If I don’t keep on top of Social Media, I lag behind in sales. If I skip reading blogs, doing my study program, or even just reading for pleasure (which I try to do for about two hours per week to keep my own writing skills sharp) then I notice I fall behind in sales and development, and of course I can’t afford to stop the actual writing either as I put pressure on myself to produce content. While it’s a full time job to be a writer, no one ever said that more than half of an author’s time is spent doing everything but actually writing. But that’s the way of it now. The Ernest Hemmingway fantasy of sitting over a typewriter amid a cluster of sandflies while banging out a new chapter or three every week for an editor and publishing team who sees that the production phase is all taken care of while his agent keeps him steady with income and drink is just that – a big fat old fantasy. So is the level of income derived from writing for most of us. And I have learned that you can’t just ‘decide at school to become a writer’ and go at it like you would an accounting or nursing career. You have to focus on continual learning, feeding your mind and imagination, being prepared to starve until you sell something, and accept there are no guarantees of anything – ever! But that if you manage to get the formula right, and create a great book (or five), then you really can anticipate success at some level as a writer. So what’s the formula? Is there one? Yes, I believe there is. In fact, several – from the writing, to the production, to the marketing and distribution there are formulas for developing and publishing GOOD books. But just as important as the formulas, is the need for patience. Because it does take time. As with most ‘overnight success’ stories, there are thousands of hours (nights) that go into creating anything truly outstanding in the creative arena. And so you can’t enter this industry lightly, hoping for a magic carpet ride towards the big bucks and fancy awards! This coming weekend I will be presenting a workshop session on publishing for thought leaders. So this topic has been high on my mind this week. Just what does it take to eat an elephant? Patience enough to consistently keep chewing away at it, one bite at a time! To start thinking about writing a book about your expertise, consider this option, or connect with me for more ideas about turning your EWE’s into freelancing or consulting opportunities. The concept of Guru-dom is not about what we call ourselves but how we do what we do when we share wisdom, expertise, and stories that help others. I’ve resisted the word Guru for years. I don’t personally think of myself in that way and the very few people I’ve met in the world who have referred to themselves as ‘guru’s are often best avoided charlatans of one kind or another. However, I’ve also met many really interesting people who are totally at the top of their game, blessed with so much knowledge, wisdom, expertise, and experience that it’s easy to see why others might refer to them using the G Word. My work is with people like that who truly have a lot to share, and are ‘the real deal’. But what to call them? How is it possible to group these people under a word that actually conveys this. Competitions, brainstorming think-tanks and late night wine-fueled table talk have all yielded nothing better. And so – I’m writing today about the very concept of what I have begun to refer to as ‘Guru-dom’. Guru-dom (def.) is that state which highly knowledgeable, articulate experts use to share their wisdom for the benefit of others who seek to learn from them. Never refer to oneself as a ‘guru’. Never refer to your own self using the G-Word because it’s just unnecessary. Real people with high levels of knowledge, wisdom, and experience to share are best to share it without being ego-driven. Self-proclaimed Gurus are usually highly driven by ego. When Sharing Your Expertise, Always Speak Your Truth. Always speak Truth because egg on the face of any enlightened talented expert is going to be continually icky. Icky in a smelly rotten egg kind of way. The kind of smell that lingers, follows you around and eventually catches up with you again someday when least expected or desired. Sharing your expertise for the benefit of others, freely, and with a smile on your face. Share for the benefit of others with a smile on your face simply because you feel drawn to share. It’s part of your life’s journey. Don’t do it just for the money – by all means you should be paid, and well rewarded for sharing, but don’t hesitate to share for the good of sharing when there’s a chance to do so too. That’s also how we can change the world… one smile and story at a time. So share your expertise freely. It will come back to you. How is it possible to write a book in 48 hours? For a start, there are LOTS of barely average books hitting the market every day. Millions of new titles are being released every year. If your book is going to even see the light of day, it has to be good. Your content has to be far better than average, well edited and reader friendly. Without these boxes ticked, there’s a very high chance that your book might even do the opposite of promoting you positively to your market. If I’m going to speak this sentence, it will sound like: Loved meeting over dinner th’other night; great range of options on the menu too. Written it is more likely to be: I Loved our chance meeting on Wednesday night. I was really impressed with the range of options on the menu too. Subtle differences, but when you are reading a lot of text that is not well written, after a while it becomes annoying and sometimes even hard for the reader to remain focused. That’s because we are taught to read differently than the way we hear. We process the information slightly differently too. I’m not saying that voice recording your material is a bad thing. In fact, for many writers it’s a preferred option for getting ideas out of their heads. However, just having those recordings typed up, without a good editing process in place will show your book very quickly to be of sub-standard quality. Remember this – if your readers are regular readers of anything, they will be discerning readers. Your professional reputation is at stake if you don’t measure up and put some real effort into conveying your expertise in a way that represents quality sharing. If you want to be successful as an author, there is a lot more to ‘writing a book’ than just ‘writing’ a book. It takes time, focus, energy, money, and a good knowledge of the publishing options available to you to make it. Average does not cut it in this industry. I mean the Thought Leaders and Author-ity industry. To stand out, take the time and do it well – create an excellent book. Whether you are writing for business, a blog, or a novel, you need to know that a good story will hugely help your own writing style, and the readers to absorb what you’re trying to tell them. Mind mapping is one of the easiest ways to do this. I had a call from my son Alex this morning, who is doing a great job of working through a script writing project for a TV pilot. It’s a competition and as a lover of acting, theatre and a great story, he feels up to the task of developing a big idea. But of course, while he’s already published and produced a play for amateur theatre, a TV pilot is a much bigger step and he’s still learning his trade. So we talked about this plot he’s created, which is complex in so many ways. This led to my suggesting that I as a visual person needed to SEE something like mind mapping – a drawn outline of something with branches for all the parts needing to be articulated – to understand the direction and the characters and how they relate to the story. Yes I mind map! He agreed and is busy creating that while I write this. The point is, that if you take the time to map out what you want to write, get the stories, the examples, and the connections well established before you even start to write, the entire writing project is so much easier. And even if you are not a primarily visual person, many of the people you might be working with throughout a writing project, including your editors or design team, may be. Being able to articulate the project’s intricacies as well as the big picture side of things easily is your biggest challenge. How to simplify and narrow down the main points, without taking too much of your readers or viewers attention away from the them with hyperbole and jargon. That’s the trick. In my recently released book From Idea to Author-ity, I’ve shared a simple and effective way to map out a business book, presentation, story, or even a speech or article. Basically you want to divide the outline into three main parts, then break those down into further parts, that give you the flow in one easy process that you can stick on a wall or read as one page. I have used this process many times for my authors and it works insanely well. It’s just So easy. If you get stuck at this stage of the game at any level of communication, then you’ll find it helpful to have a system to use. Scrivener, the best software program for writers also features a fantastic white board and note pad style of mind mapping. Remember, the key to effectively sharing anything of complexity is to mind map it, develop the story line, and then write it. Doing business on any level is different than ‘back home’. It sometimes takes a trip to the outer regions of where you normally reside to fully understand them, but the differences are huge – even when it’s another English speaking country. I was in the USA recently, and then Mexico. While there I got to experience several different levels of customer service, productivity, and cultural changes that made it clear i was definitely far from home – even if the feel of the place was sometimes not so alternative. From a resort in Mexico that was very ‘international’ to cater to a wide range of tourists who all expected high quality, non-Mexian with just a little spice, to hotel chains that are presumably the same all over the world – each had unique ways of doing or setting up simple things. Hotels are an easy to pick on option when you travel and I’m going to save that one for another day. Instead, let’s talk customer service and expectations in a more general way. And let’s dissect this with Tipping! Tipping for service is not something we do as a regular thing Down Under unless we feel particularly that we’d like to reward someone for a noticably good service or meal. In the USA, the wages are so low for many people that the reliance on tips is a way of life. This translates in many instances to wait staff and drivers to go out of their way to impress with efficient friendly service. Not always unfortunately but in the majority of cases we were treated to outstanding care and consideration by people we encountered everywhere. Of course when you don’t tip with some care, they do let you know in subtle ways sometimes, that your ignorance of this custom is not appreciated. This system of tipping for everything does however become incredibly tiresome after a while as even for simple things you feel obligated to leave a tip that is over and above the charge – even when the bill states that tips are included as is sometimes the case. It seems that if you notice that, it means that everyone in the place gets a share of the percentage, but the extra you leave behind goes to the person who served you. So what you leave behind as a tip is a direct reflection of your consideration of the service given by that person. Overall though it can be expensive. The meals in most places are on a par with Australian prices. Eating out is not a low cost exercise, then there are the tips on top for everyone from the cab driver or car park attendant to the wait staff. And the expectation is up to 20% on top of the bill. You know you are in a foreign land when everything comes with a side of fries, potatoes, slaw, or fruit, including your bacon and eggs in the morning. You also note that you’re in a foreign land when you exchange business cards and there are no international codes on the phone numbers which is often because they don’t think globally like we do Down Under. It’s being away from home that makes you appreciate where you come from and what you are used to. But what you can learn from another perspective can be of great value to you. First: Booklaunch.io is far and away the VERY best landing page platform imaginable for authors. These make launching a new book so easy, and they look great too. 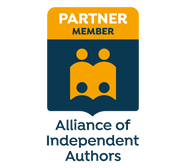 I have two novels (under Dixie Carlton) profiled on this platform HERE – and the feedback I’m getting from using this is outstanding. Booklaunch IO just easily integrates into my (other) website and yet also gives me brilliant analytics to work with for each book so I can tweak my marketing as needed for maximum results. So you’re a great writer… hell maybe you are even exceptional at it. You’ve studied, practiced, and can churn words out faster than a hungry cheetah can run down a rabbit, but your books are still sitting there waiting for the world to discover your brilliance. Your ability to sell your work. If you are a writer, you can either make like a 19th century poet and call what you do art, and consider dying of starvation as an occupational hazard if you can’t find a patron, or you can man (or woman) up in this 21st century and accept that being a writer is not just about writing anymore. It’s time to upskill and there are several areas you need to get smart in. If you don’t know how to file your taxes, pay your bills on time, or manage any simple administration system for these things, you will rob yourself of valuable writing time. Why would you do that? 2) Commercialising at least some of your work. If you want to hold out for the 29th pubiishing house to make a serious offer for your great manuscript, that’s fine – really it is. But while you are working on your own version of War and Peace, you could do well to keep the rent paid by marketing yourself as a wordsmith of some description. It’s amazing how many people really don’t know how to string two sentences together and remember that your own ability to do so is of value to those who cant. 3) Asking for your worth. Getting comfortable with your own value is one of life’s big hurdles for most people. It’s a learnng thing – but if you want to write for a living you really need to get out of your own way and learn this one fast. Stop selling yourself for 10 cents a word, or $30 dollars an hour. If you believe you are a good enough writer to be a best seller – and why else would you be pugging away at that great novel every day instead of ‘getting a real job like your mum and dad keep suggesting – then know that you are worth more than peanuts – and believe in your worth. Then when that publisher does call with an offer you’ll be ready and if need be, willing to negotiate for your worth. 4) Learning to say no. If someone is going to ask you to buy into their schemes for fast tracking your publishing dreams and it sounds a little too easy, or too good to be true, then trust your instincts and say no. You might also need to employ this skill when someone asks you to get a job instead of sticking to your dream, or to give up on your writing dreams completely. Learning to say no is really about backing yourself when you need to and NO to all the naysayers, swindlers, and promise merchants who are there on the side of the road waiting to derail you. 5) Social Media is Magic – if you know how to use it! Social Media is the one thing that Charles Dickens and Oscar Wilde would have put to good use and it would have catapulted them through a lot of the early days of being dining on hope and dry crackers. You have the ability in this day and time, to market yourself, and your many skills directly to your readers. If you learn how to harness the magic of good social media marketing, the world truly is your oyster. If you think it’s too hard, you’ll wait so much longer to ‘get that lucky break’. Great authors are using social media to get faster results for great books, and average authors are too. It’s about getting busy faster and using the resources you have at your finger tips to start earning an income from your writing sooner rather than later – in multiple ways. Being a great writer is about writing, but you still have to live, and nurture your dreams along the way. A writer’s game is an interesting one – we can create anything we like, so let’s create our own destiny as well paid wordsmiths too. I’ve worked with books and around books, and with authors, and helped to shape, publish, and sell a number of great books over the last 10 years. It’s been a privilege to do this – as I believe strongly that books are the best source of knowledge we as business owners, entrepreneurs, managers can access. When I work with clients, one of the first things I like to ask them is what they are reading. What have they read. What sort of books would they like to read? I think you can tell a lot about someone by how they answer these questions. Someone who is committed to improving their ability to work, create, lead, inspire, find solutions, will read books that help them work out how to do this. Someone who only reads mystery or crime novels wishes they were living a different kind of life, and someone who get stuck with only magazine articles because they say they don’t have time for more than that, is probably overextended in their work, an adrenaline junkie who gets off on ‘busy-ness’ and comfortable in their current reality – regardless of how good or bad it might be. Ok – maybe that’s a little harsh – and I confess there is no survey or statistics behind this observation. It’s only my opinion. But having worked with countless managers and entrepreneurs who have easily slotted into these three descriptions based on their reading habits, it’s a fairly well educated opinion. And of course – we all have times when we’re ‘booked out’ and really just crave some good fiction for the brain to rest on. Before you berate me for writing opinion – and remember Blogs do allow you to do that – if you really want to get better at management of people, leadership skills, working out advertising or marketing strategies, recruitment strategies of good people etc why not head to Amazon and look up books under those categories? Sure there might be You-Tube videos you can watch and online webinars you can attend, but for serious learners, you’re going to want to write in the margins, bookmark pages, and think through what you’re learning. Video’s don’t give you the same ability to do that. When you read something, you seem to absorb it in a particular way. When you share what you’ve read, it embeds even better into your mind. When you USE it, the lesson becomes hard wired into your subconscious. So if you want to become great at some part of your job, there are dozens of books released every month on the subject you are seeking to know more about. So if you are serious about improvement in your business, pick up a book! PS – if you really don’t have time for reading – then Audio Books to listen to while you are driving, commuting, jogging etc are great too.